Heat oil in a large frying pan over high heat. Cook onions, stirring occasionally for about 2 minutes or until fragrant. Add in broccoli, cauliflower and mushrooms. Cook for another 2-3 minutes and add in capsicum. Give everything a good stir and cook for about another 1-2 minutes. Finally, stir in the garlic. 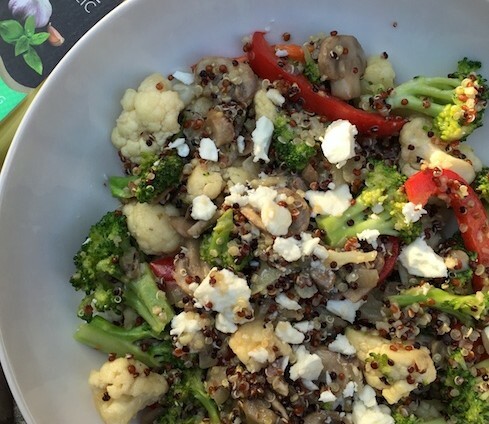 In a saucepan, cook quinoa in stock and water. Bring everything to the boil, reduce heat and simmer on low with lid on for about 12 minutes or liquid has been all absorbed. Remove from heat and set aside to steam for about 3 minutes depending on how you like the consistency. Stir in broccoli, cauliflower, onion, capsicum and mushroom mixture. 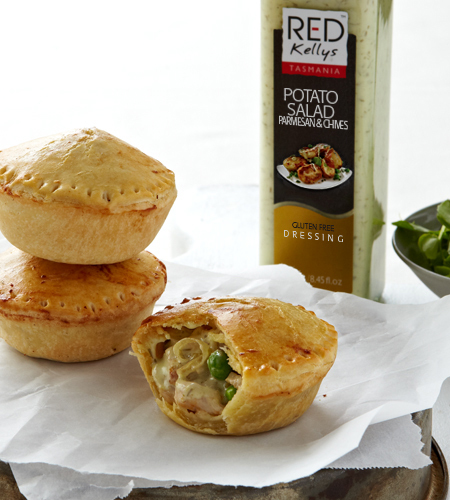 Season with Red Kellys Basil & Garlic Dressing, salt and pepper and sprinkle over with feta before serving. Enjoy!